In addition to the many popular songs we have digitized, LAC is also fortunate to have a diverse collection of band and instrumental recordings in our 78-rpm collection. Some of the band music has military connections, such as the Band of First Regiment. However, we also have orchestra music, chamber music and folk music, such as the fiddle performances of Isodore Soucy. Explore other recordings on the Virtual Gramophone! 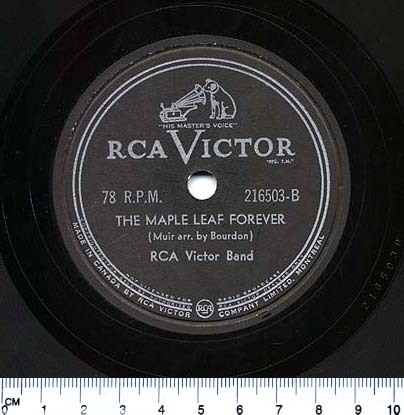 This entry was posted in Music and Performing Arts and tagged instrumental music, virtual gramophone by Library and Archives Canada Blog. Bookmark the permalink.